Bman's Blues Report: Buddy Guy Reveals Cover Art & Track Listing On "Born To Play Guitar"
Buddy Guy Reveals Cover Art & Track Listing On "Born To Play Guitar"
Grammy Award winning blues icon Buddy Guy has revealed the album cover and track listing for his brand new studio album Born To Play Guitar. Set for release July 31 on Silvertone/RCA Records, Born to Play Guitar features guest appearances by Van Morrison, Joss Stone, Kim Wilson and Billy Gibbons. Morrison joins Buddy on the heartfelt “Flesh & Bone,” a song dedicated to the late great B.B. King. On “Come Back Muddy” Guy reminisces about the good ole days with his friend Muddy Waters. The album is produced by Grammy Award winning producer/songwriter Tom Hambridge. B.B. 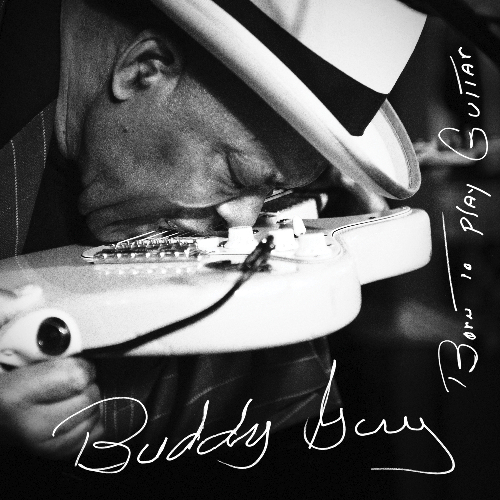 King’s Bluesville channel on SiriusXM will debut Buddy Guy’s new song “Born to Play Guitar” during SiriusXM host Tony Colter’s show on Monday, June 29.